When you think about the dentist, typically the first thing to come to mind is teeth, perhaps followed by cavities. A cavity can be described as an empty space within a solid object; in this case, a tooth. When cavities form, they hurt almost from the beginning. Since they increase in size and can affect the nerves if ignored, professional treatment is necessary if one of your teeth develops a cavity. Cavities form when bacteria collect sugar from the food that we eat and convert it to acid. Lack of proper dental hygiene allows the acid to continuously erode the enamel until a hole, or cavity is created. Once the enamel has been breached, bacteria can spread throughout the inside of your tooth and cause further damage. If I Have a Cavity, Can It Be Treated? When treating cavities, it is important to take note of the severity of decay. If caught early, treatment may only require enhancing your at-home dental hygiene. For more developed cavities, treatment may range from a dental filling to root canal treatment. A dental filling consists of the removal of the infected dental tissue, then replacing it with a tooth-colored resin filling. 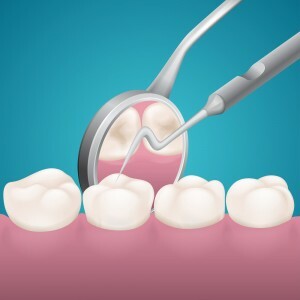 A root canal procedure is recommended when decay spreads and reaches the center (pulp) of your tooth. If the infection’s damage is beyond repair, then a tooth extraction may be required. Can I Stop A Cavity Before It Happens? There are a few ways that cavities can be prevented before they become an issue. Prevention begins with changing your dental hygiene habits, such as brushing and flossing regularly. This will eliminate the vast majority of bacteria and food particles that cling to your teeth. Avoid food and drinks with a high sugary content, and visit your dentist regularly to keep bacteria at bay.